At Panther Healthcare Professional Education is our commitment. Laparoscopic colon resections are being performed with increasing frequency globally, though the use of minimally invasive techniques in colorectal surgery has lagged behind its application in other surgical fields. Since the first laparoscopic colectomy was described in 1991, a great deal of controversy has surrounded its use, particularly in the management of colorectal cancer. Several important studies have demonstrated the benefits and safety of laparoscopic colorectal surgery, making it now the preferred approach in the surgical management of many colorectal diseases. At Panther we understand the importance of Lap Colorectal surgery and the benefits of its minimal invasive approach, for this reason we hold several Master classes annually lead by Professor Ye Yingjiang, the current Vice President of the Chinese Society of Anorectal surgeons, at Peking University People’s Hospital. 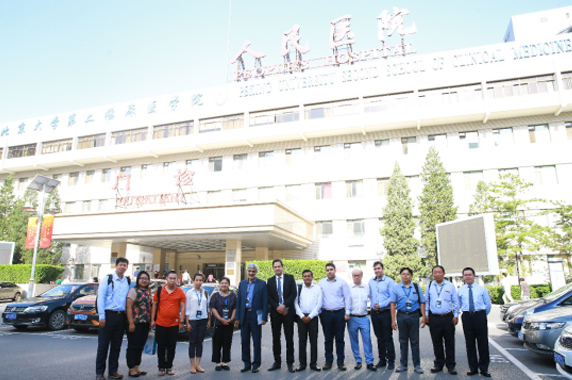 There are more than 1200 gastrointestinal surgeries conducted at Gastrointestinal Surgery Department of Peking University People's Hospital per year, including more than 800 minimally invasive procedures. It specializes in robotic surgery, taTME, and gastrointestinal tumor MDT. The Master class is a 2-day course during which Clinicians can attend several MIS procedures and have post-surgery discussions of the most complicated cases.